An elderly woman was living on a fixed income and was receiving some assistance from her daughter but the latter was no longer able to provide that help as she encountered her own medical expenses. Her mother had fallen behind in her utility bill and needed help becoming current with the bill and getting on a payment plan. Once on the payment plan she would be able to manage her future utility bills. Here to Help was able to provide the necessary assistance to enable her to avoid shut off, get on a payment plan and move forward. A woman had been a victim of domestic abuse and was living in a shelter after having spent some time living in her car. She was able to secure a job but needed transportation. 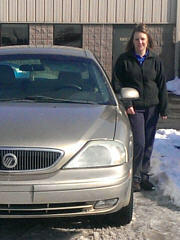 Her prior car needed repair work and we did a cost analysis regarding whether it was beneficial to repair the vehicle. The conclusion was that given the low mileage and overall condition of the car, it warranted repair and we assisted her and she was able to maintain her job and remain self-sufficient. A father of three young children was required to miss time from work to assist his wife who was recovering from a significant illness. She was eventually able to return to full strength, but the time her husband missed from work and the resulting loss in income, caused the family to fall behind on their apartment rent. We were able to assist on the back rent to avoid the imminent eviction. The family was able to pay their monthly bills on a go forward basis. A single mother of two children had been working and able to pay her mortgage payments and support her family but was laid off from her job. Once her unemployment benefits ran out she fell behind on her mortgage. She was able to secure another job but was having difficulty catching up on her past due mortgage. We were able to partner with other local organizations and provide the necessary funds for her to avoid foreclosure on the home and, with her new employment she would be able to be self-sufficient in the future. A woman and her husband and family moved back to Michigan to care for her sister who was suffering from a progressive medical condition. 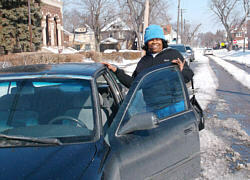 She and her husband were able to obtain jobs but due to associated moving expenses they were unable to afford required car repairs. We were able to assist with the repairs and they were able to continue getting to and from employment and remaining self-sufficient. A man had supported himself and his family as an electrician until he suffered a stroke that left him paralyzed. The family incurred a large number of medical bills and other expenses. SSI began providing a monthly contribution but the family did not have additional money to assist with the purchase of a stove and washer and dryer after these appliances all broken down. Here to Help was able to assist with the purchase of these items for the family. A young man who had experienced a very difficult upbringing was able to graduate from a training program and secure a skilled job position. There were no bus routes to the location of his employment and he needed transportation or would lose the job. 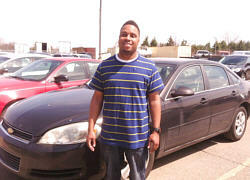 Here to Help was able to provide a used vehicle for him and he was able to continue employment and support himself. An elderly woman, living on a limited monthly income, had been renting a home that was foreclosed on when the owner failed to make mortgage payments. She was required to rent an apartment and provide a security deposit and first months rent. Given the payment of these unforeseen expenses, she fell behind on her utility bills and faced imminent shut off. Here to Help was able to provide the necessary amount to avoid shut off and she was thereafter able to pay her monthly bills. A man had been laid off from his job of eight years and after his unemployment ran out he was unable to make his monthly mortgage payment. He was living in a homeless shelter for a period of time before he was able to secure another job and needed assistance with move in costs at his new apartment. We were able to provide the funds necessary for him to secure his new apartment and he was able to remain self sufficient from that point onward with the wages from his new job. A woman had been paralyzed in an automobile accident and after going through extensive rehabilitation she was discharged home. 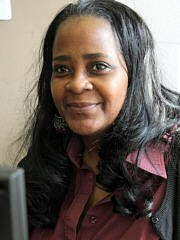 She had been attending college at the time of the accident and needed a specialized computer that would enable her to take online course work and proceed forward working towards her degree. Here to Help was able to purchase the specialized computer for her.